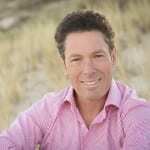 Medical Doctor, author, speaker, media presenter and health industry consultant, Dr Joe Kosterich wants you to be healthy and get the most out of life. Joe writes for numerous medical and mainstream publications and is also a regular on radio and television. He is often called to give opinions in medico legal cases and is an advisor to Reed Medical Conferences. Joe is Medical Advisor to Medicinal Cannabis Company Little Green Pharma and sits on the board of Australian Tobacco Harm Reduction Association. He has self-published two books: Dr Joe’s DIY Health and 60 Minutes To Better Health. Through all this he continues to see patients as a GP each week. February 8th, 201011047 Health reform is on everyone's lips. Whilst it is assumed that costs will continue to rise it is simple to be healthy and not rely on expensive treatments.Learn how to be healthy with a do it yourself health approach.